Spring is in the air. 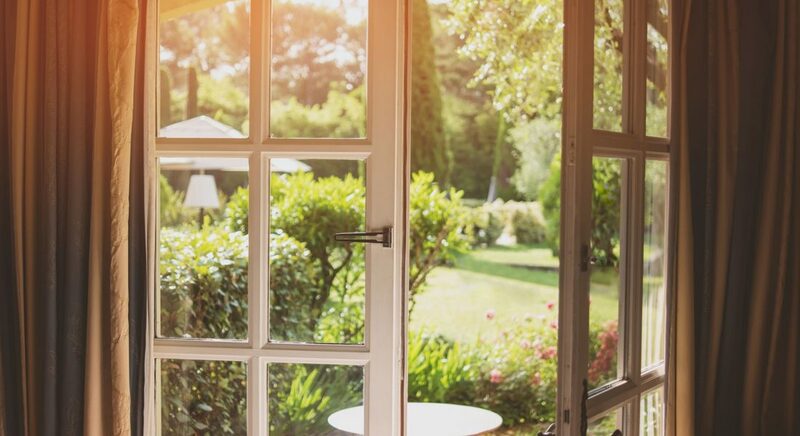 It’s time to open the windows, air out the house, and dive into that deep spring clean you’ve been looking forward to all winter long. OK, so maybe you haven’t been looking forward to window washing and mopping, but you know that it has to be done. The same can be said for your financial clutter. Tidy up your finances with these six simple tips to declutter your financial life and give you a fresh start for spring. A financial institution will typically send you a notification if you have an open account that hasn’t been accessed for a set amount of time. If you don’t plan on using the account, close it as soon as possible. This ensures that you’ll avoid any dormant account fees and recoup any remaining funds. It also helps simplify your finances by reducing the number of accounts you have to monitor, which makes maintaining your household budget easier. By law, you’re entitled to one free credit report each year, which can be accessed by visiting annualcreditreport.com. You’ll receive a report from each of the three major credit bureaus. Review them to make sure the information looks familiar. If you see something you don’t recognize, like an account you didn’t open, contact the bureau directly to address the discrepancy. If you find yourself tossing aside paper account statements, opt to receive electronic statements instead. You’ll reduce your monthly clutter and receive your account information faster. 4. Set up automatic bill pay. Another way to reduce clutter and increase efficiency is to set up automatic bill pay. This can typically be done through your financial institution’s online banking system, and will help eliminate your chances of missing a payment and being charged late fees. 5. Organize and shred financial documents. Save it or shred it? Experts recommend keeping tax-related documents for seven years, which should cover you in case of an audit. If you’re a homeowner, keep documents related to the purchase of your home, records from any major improvements, and mortgage paperwork. You can safely shred things like receipts and bills once they clear your account. Rather than piling financial paperwork in one place to deal with later, set up a filing system so you can quickly store what you need to keep and shred what you don’t. 6. Clean up holiday debt. With the major gift-giving holidays behind us, spring is the perfect opportunity to analyze any accumulated holiday debt and build a plan to return to zero. Paying off debt takes discipline and a plan. Develop a realistic approach to cleaning up your holiday debt quickly and you’ll thank yourself as you begin to plan your summer vacation.